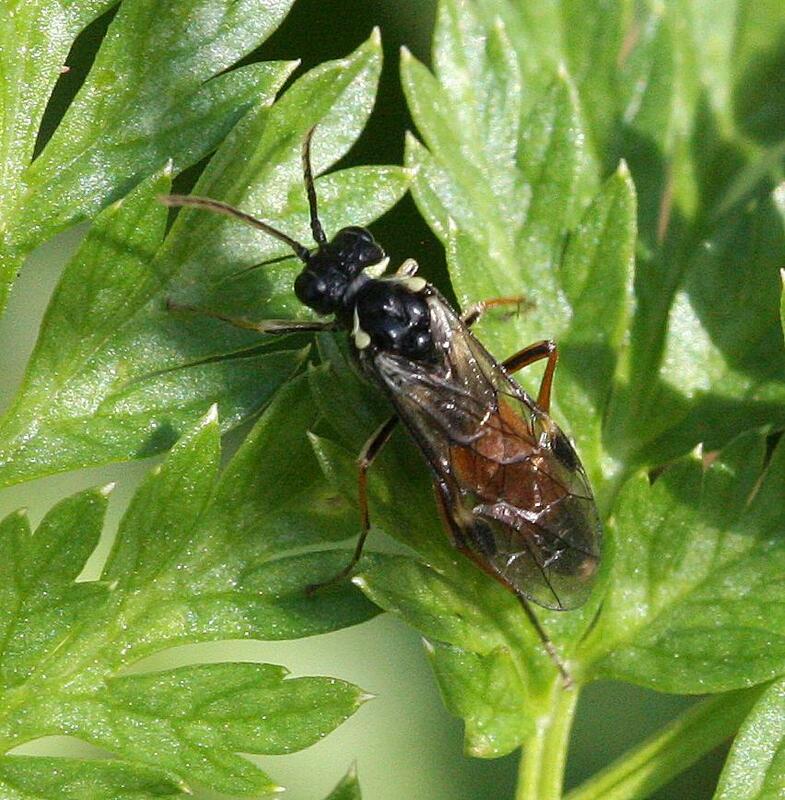 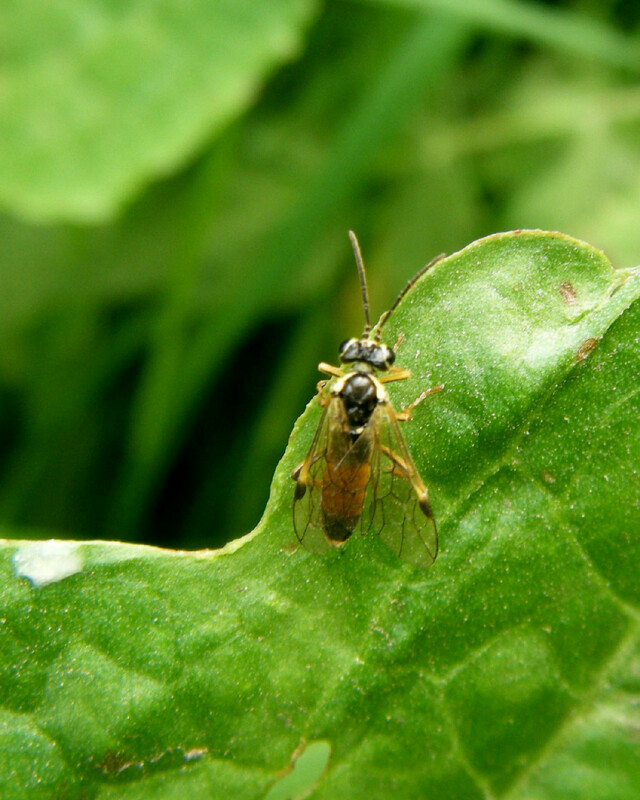 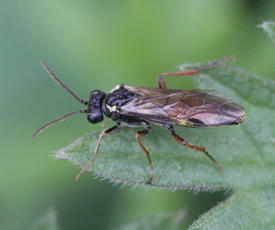 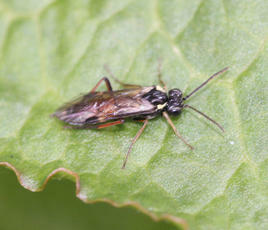 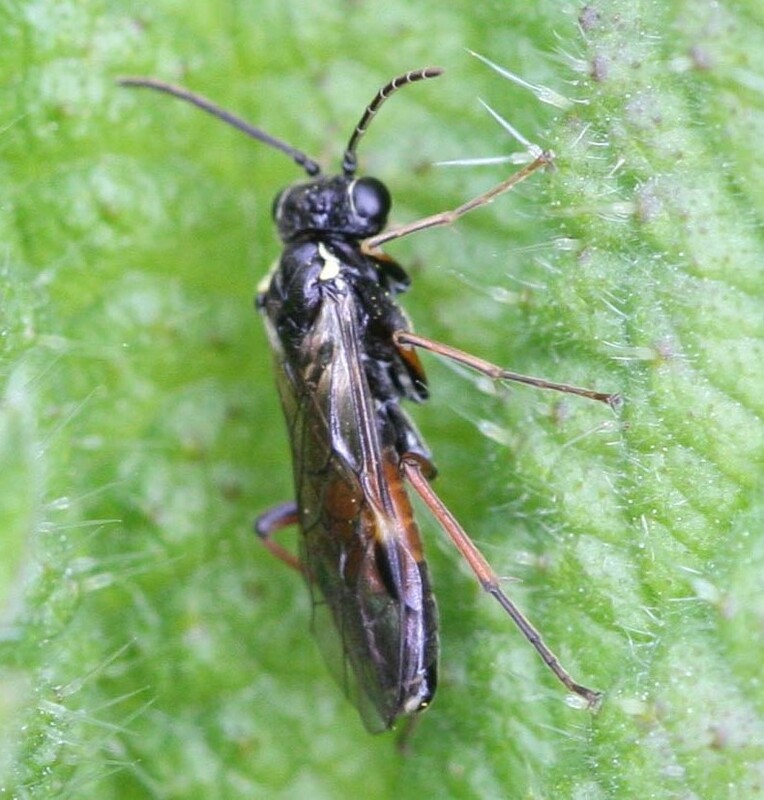 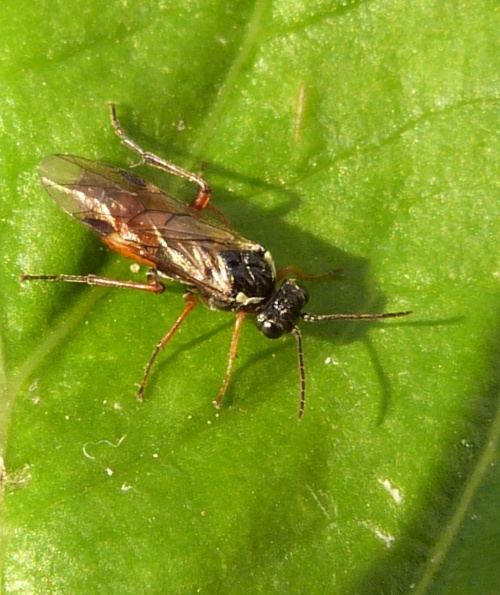 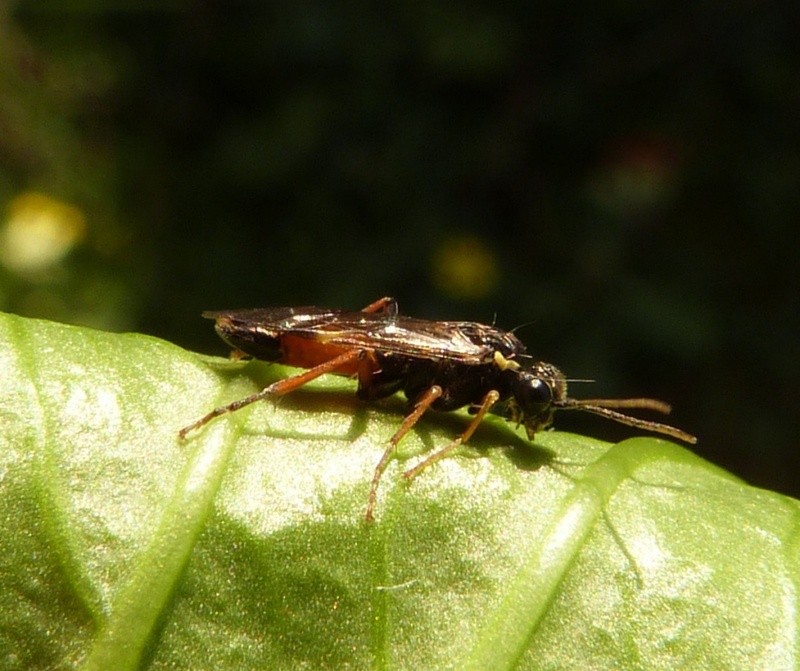 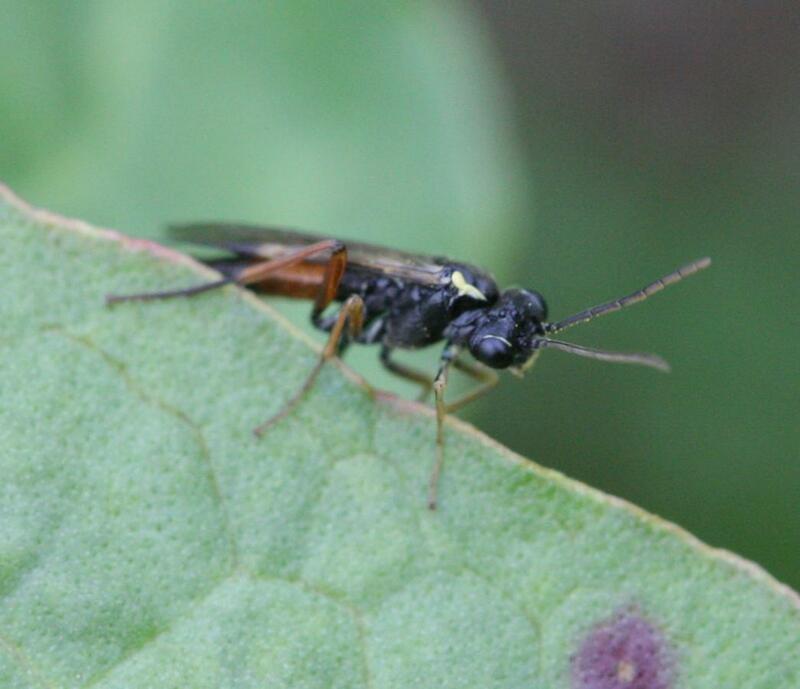 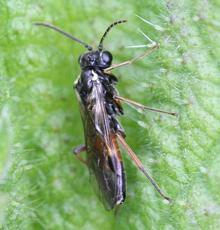 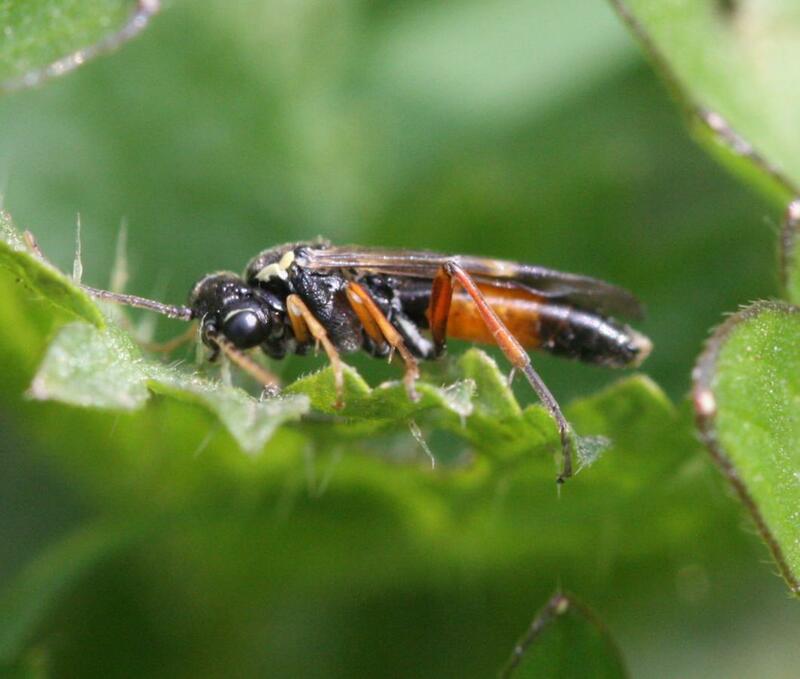 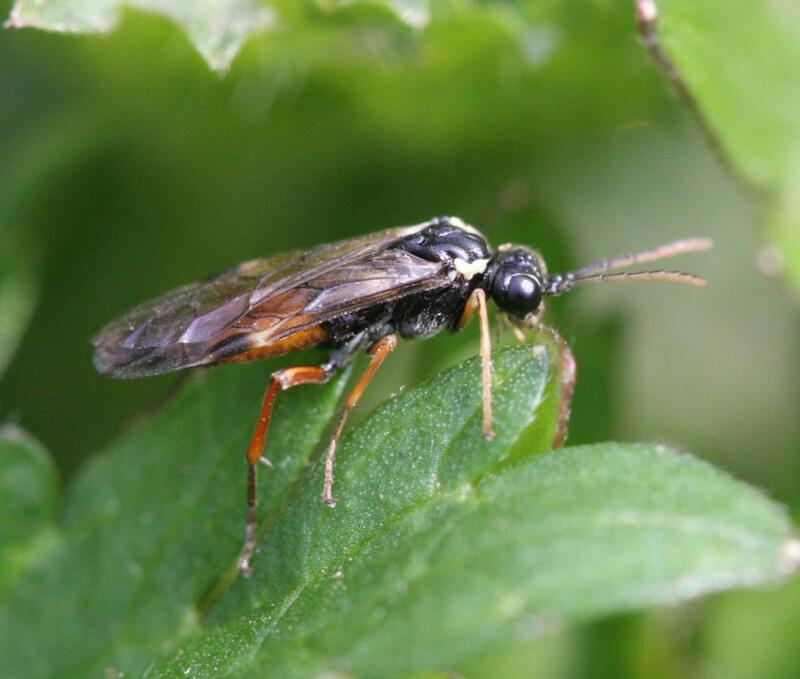 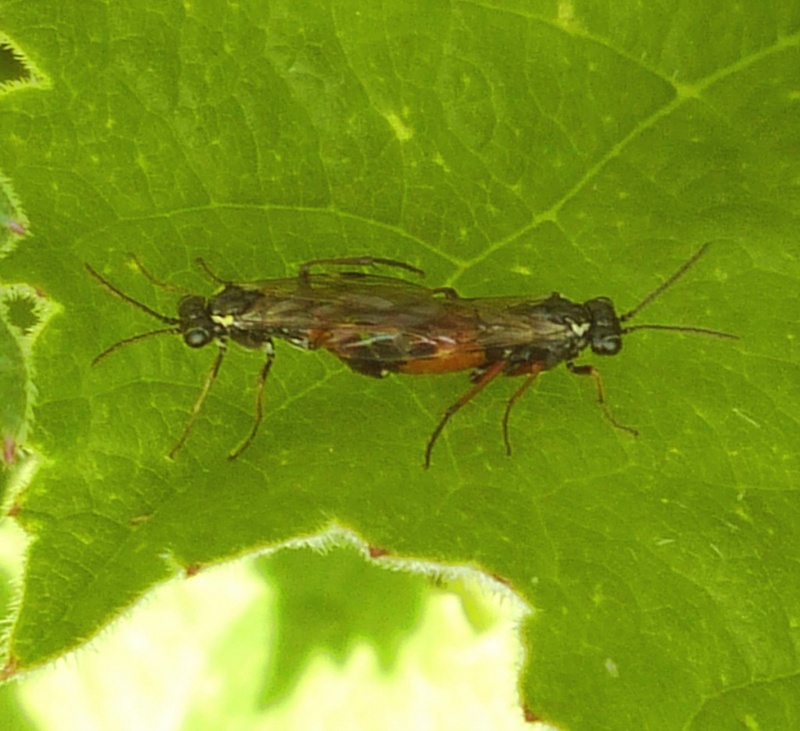 7-9mm - this Spring sawfly has a bright orange band across the middle of its abdomen. 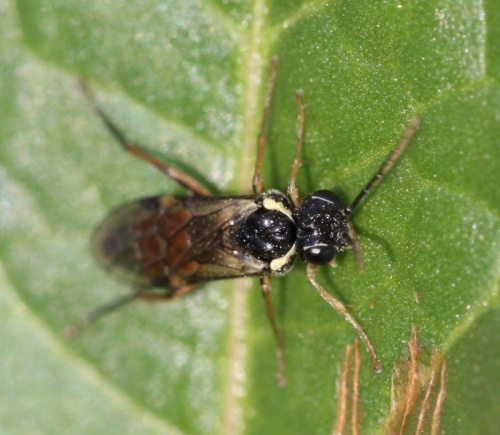 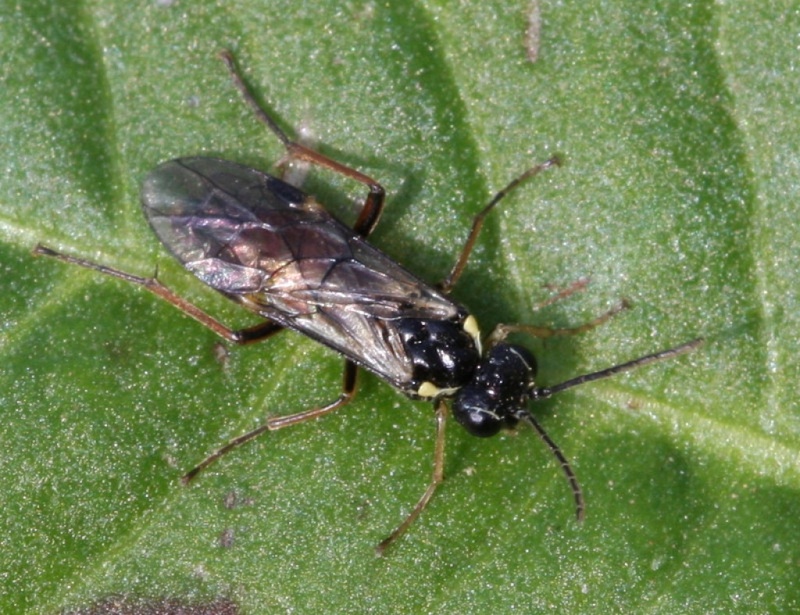 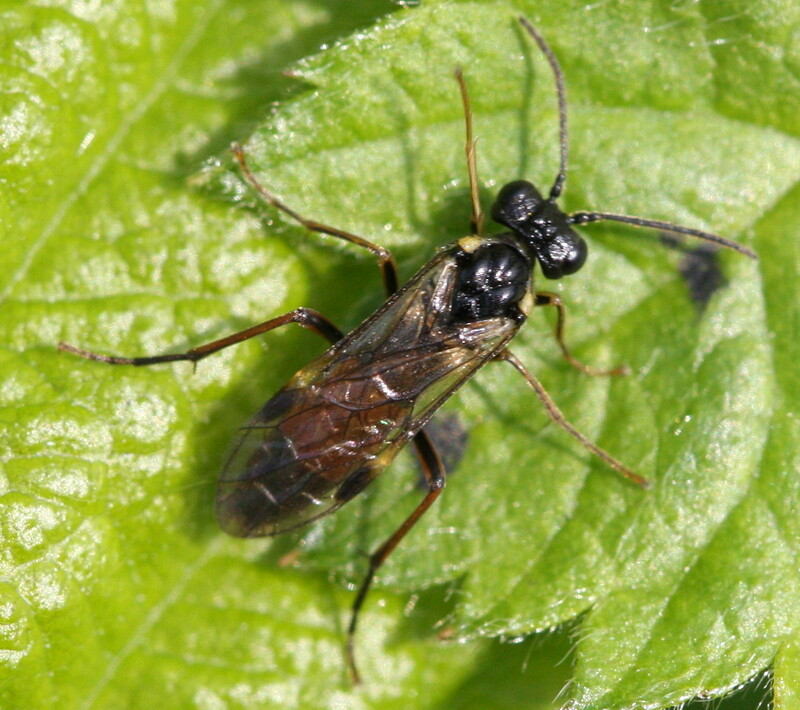 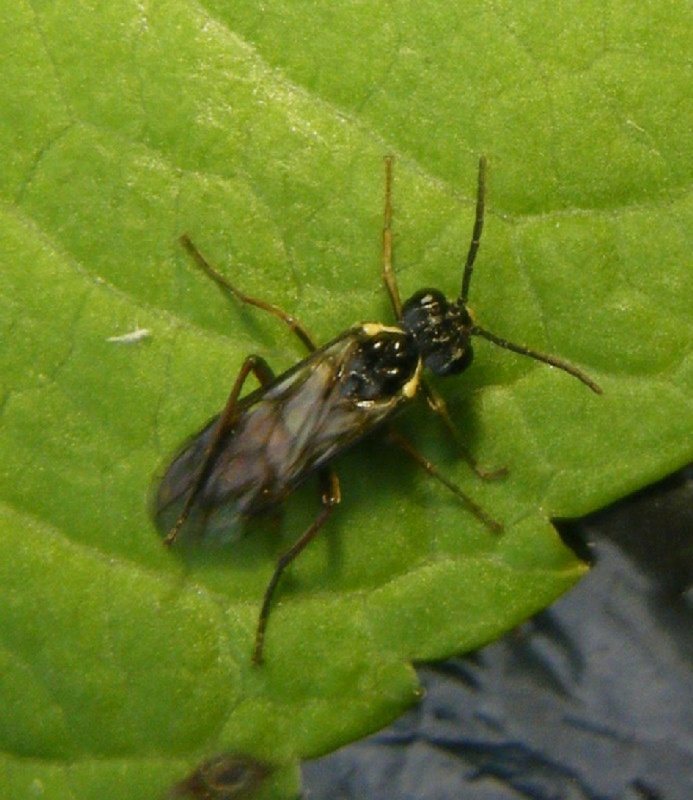 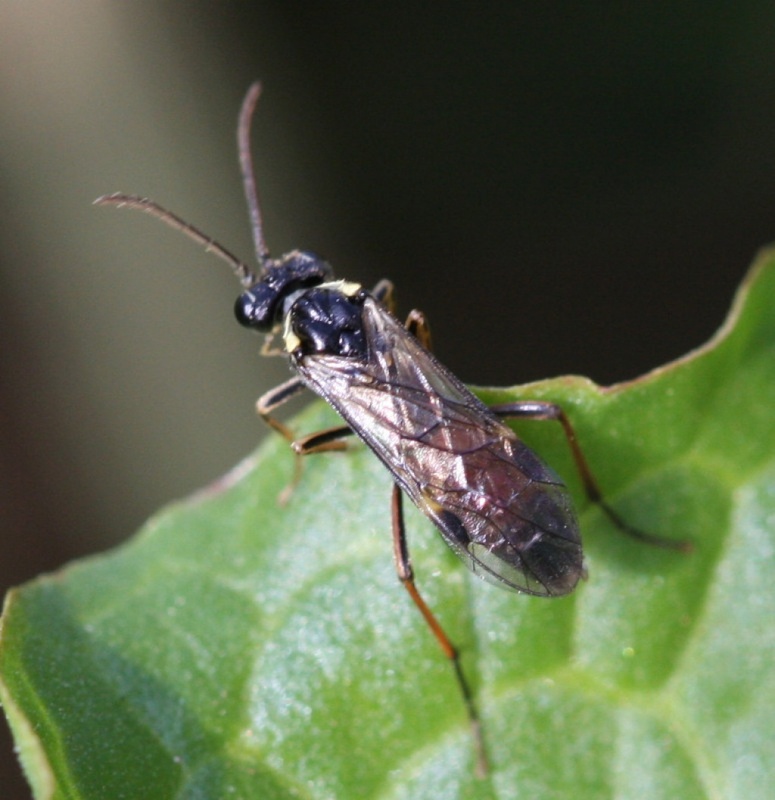 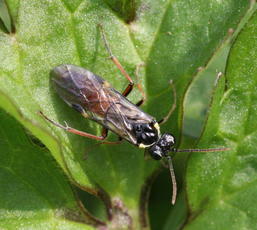 A. fulvipes is similar but has white markings on the sides or underneath of the abdomen. 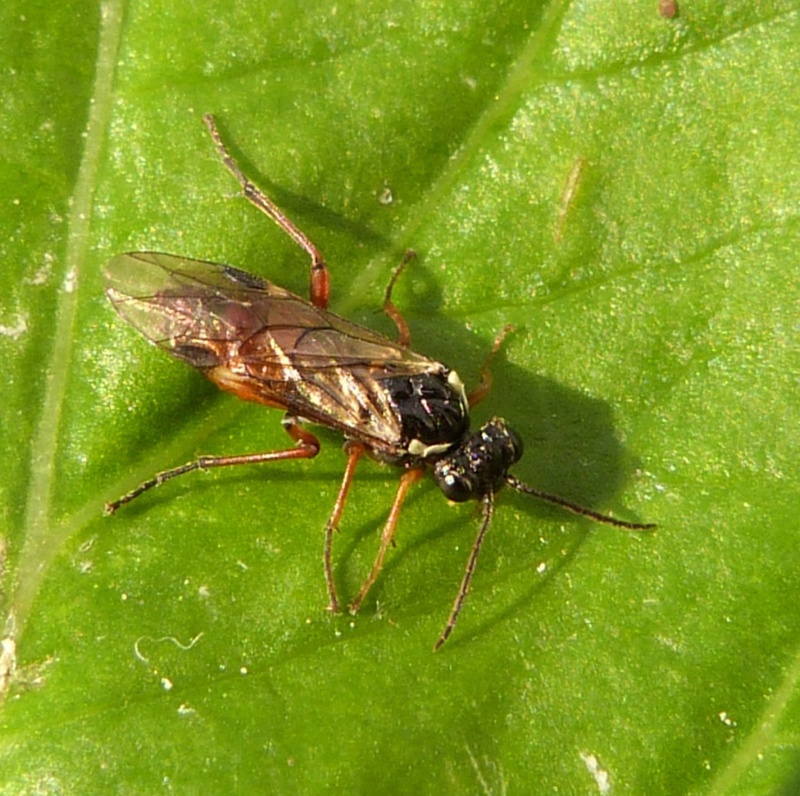 A side view is needed to ensure there are no white markings on the abdomen. 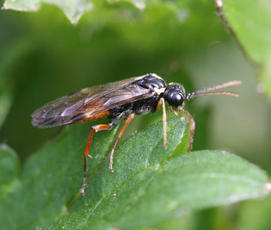 Fairly frequent in England, few records from elsewhere in Britain.